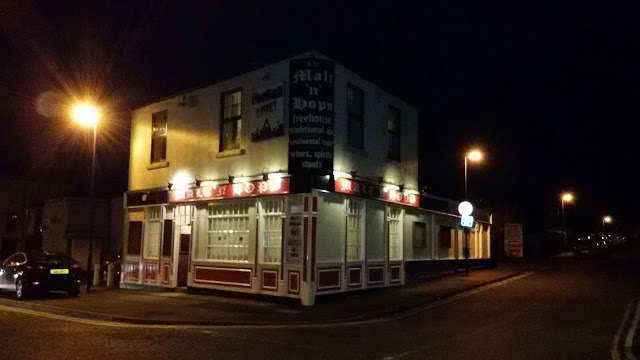 The Malt 'n' Hops is one of the more recent additions to the Chorley pub scene. The building was built in the 1870's and first appeared on maps and local census and directory records from 1872 onwards. 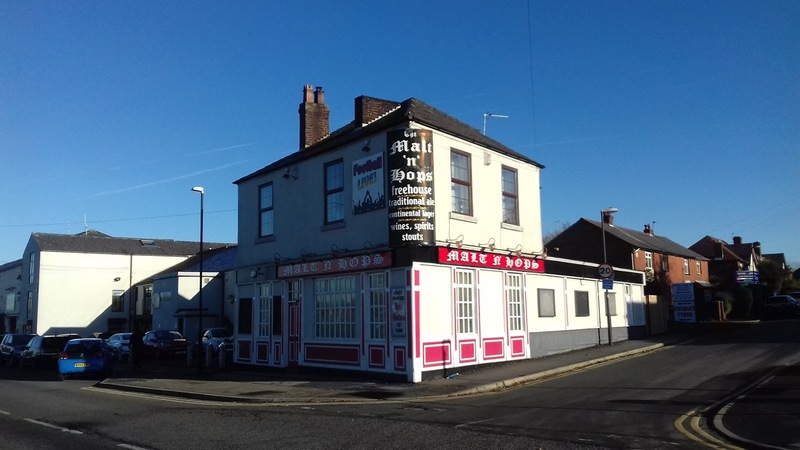 It was run as a grocer's shop from 1872 into the mid 1900's, as the following records show, with Joshua Haworth (1872-1905), his assistant, Thomas Howlett (1911-1952) and John Edward Howlett (1952-1978). 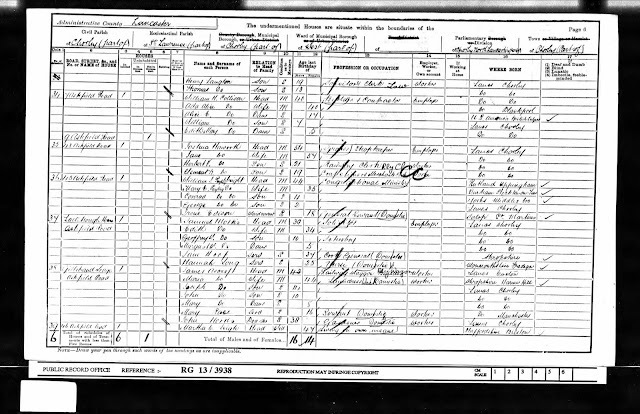 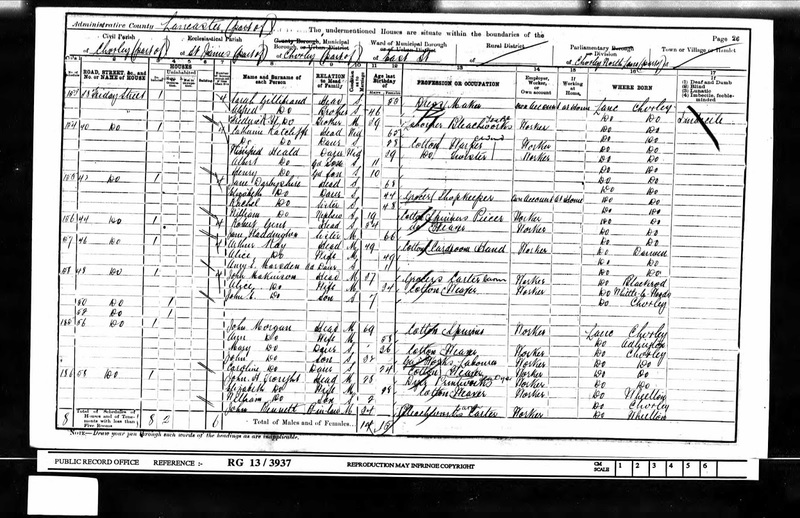 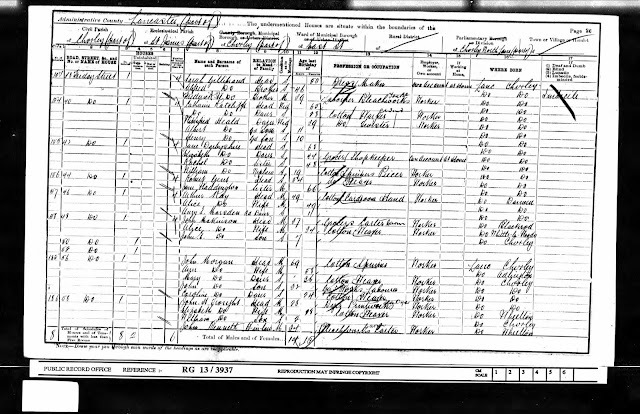 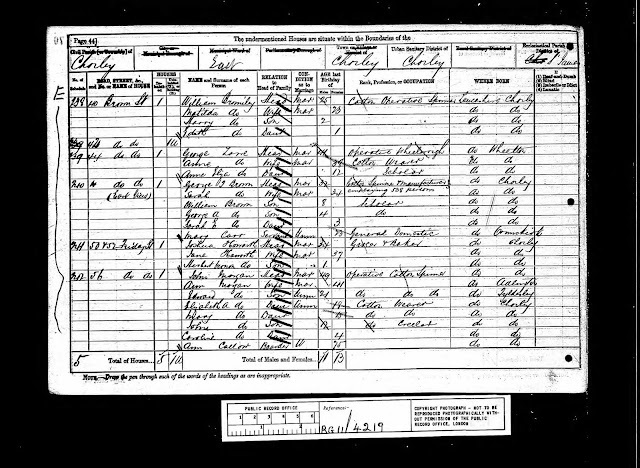 At the time of the 1901 census Joshua Haworth had moved his family to 43 Ashfield Road, Chorley but as the record below shows, he was still running the grocer's shop. 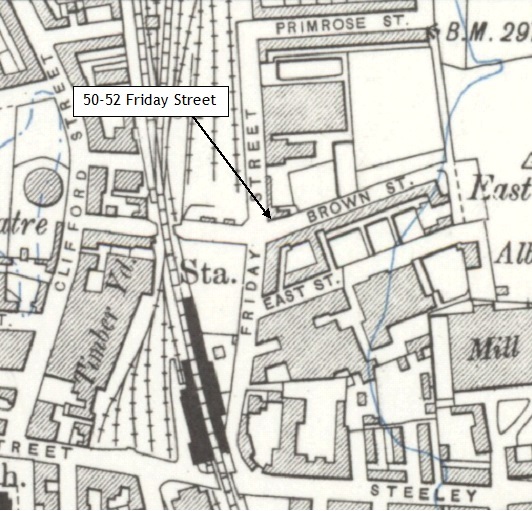 Sometime between 1905 and 1909 he must have sold the business to Thomas Howlett, as by 1911 Joshua had changed jobs and was working as a Cotton Mill Director. 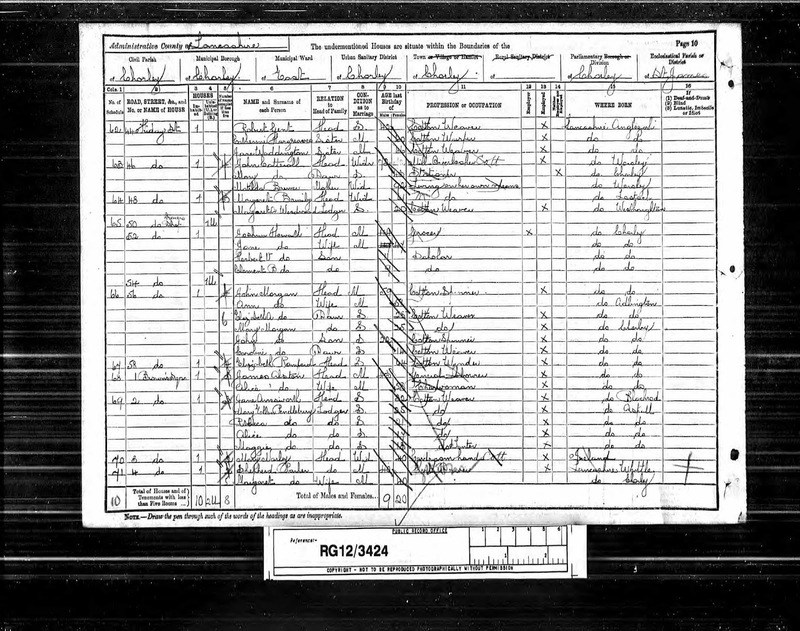 Thomas Howlett previously lived next door at 2, Brown Street with his parents and siblings and in 1891 and 1901 was recorded as working as a grocer's assistant, which almost certainly would have been with Joshua Haworth. 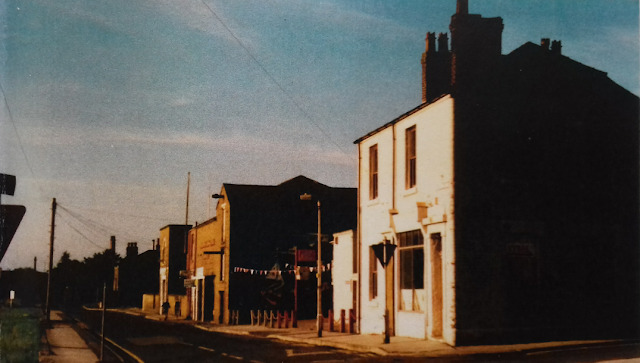 Whilst working at Friday Street Joshua must have had a premonition of things to come when he christened his youngest son Clement "Brewin" Haworth. 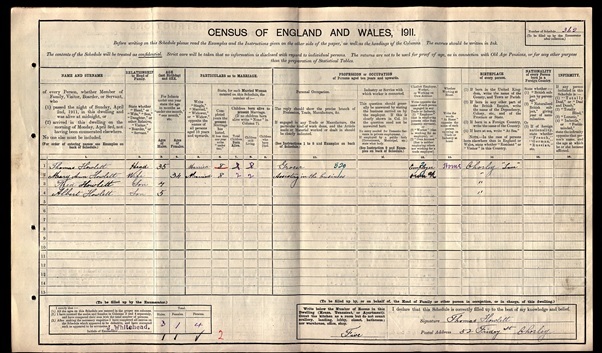 When Thomas died in 1952 he was still running the grocer's shop with the assistance of his eldest son, John Edward Howlett. 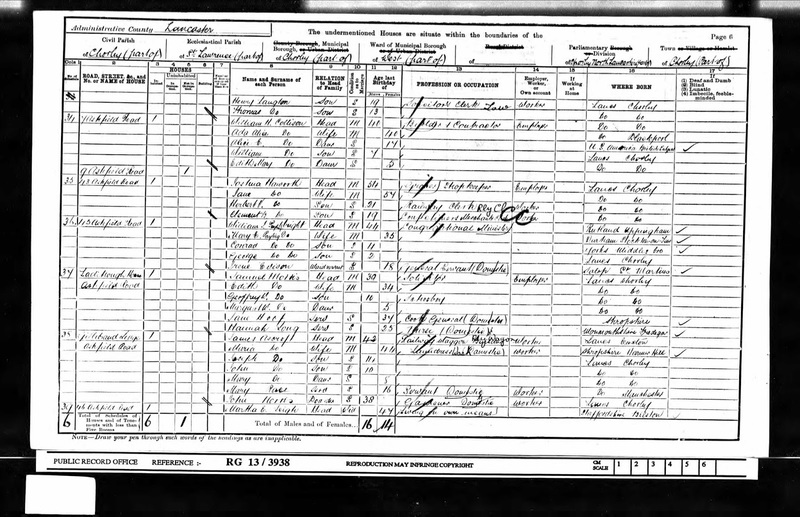 John continued to run the family business until his death in 1978 as his probate confirms. 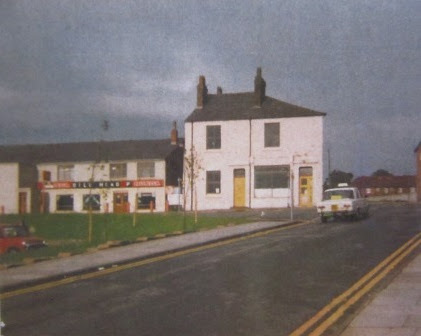 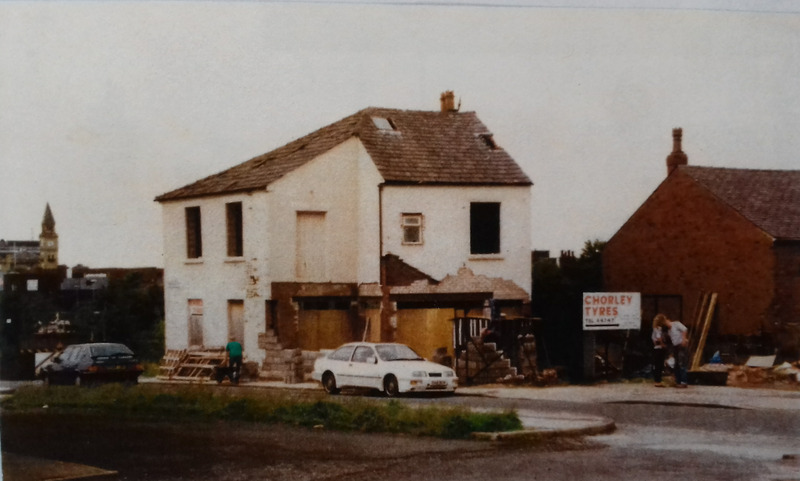 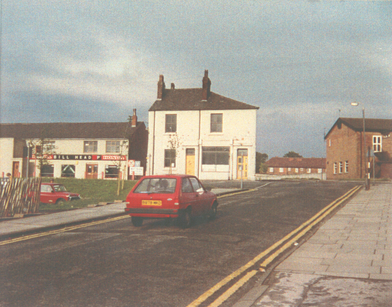 It was then converted into a public house and opened in 1989 following a successful planning application to Chorley Borough Council on 4th August 1987. 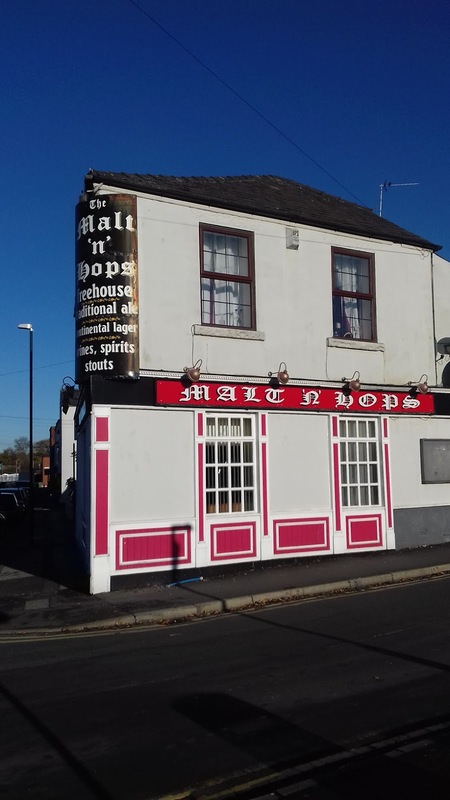 The first landlord was Paul Keith Wilkins, DJ from the Howard Arms in Whittle Springs and his wife Andrea who owned the Malt 'n' Hops between July 1988 and July 1991. 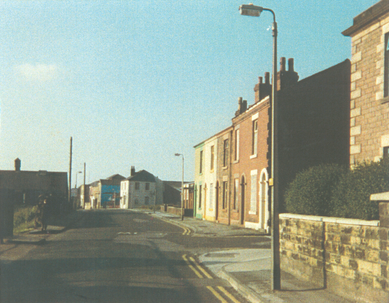 The next landlords were Lawrence and Christa Frith. 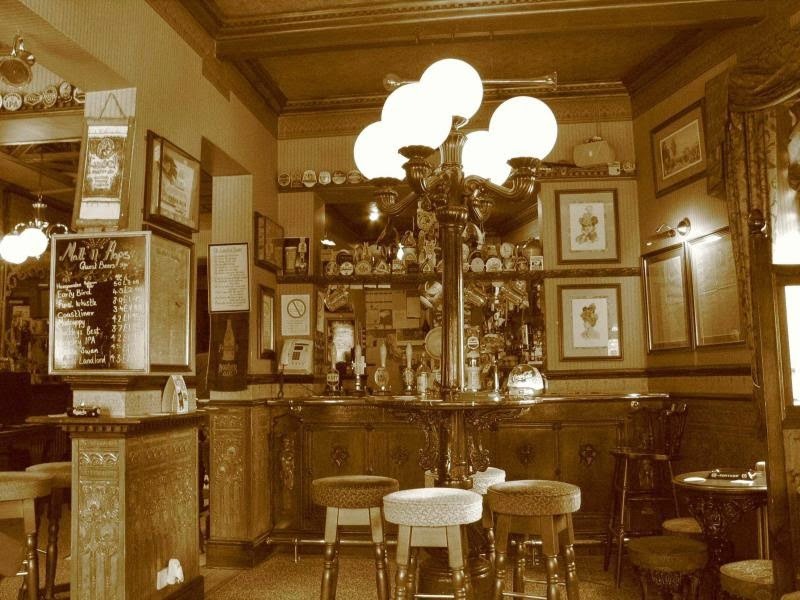 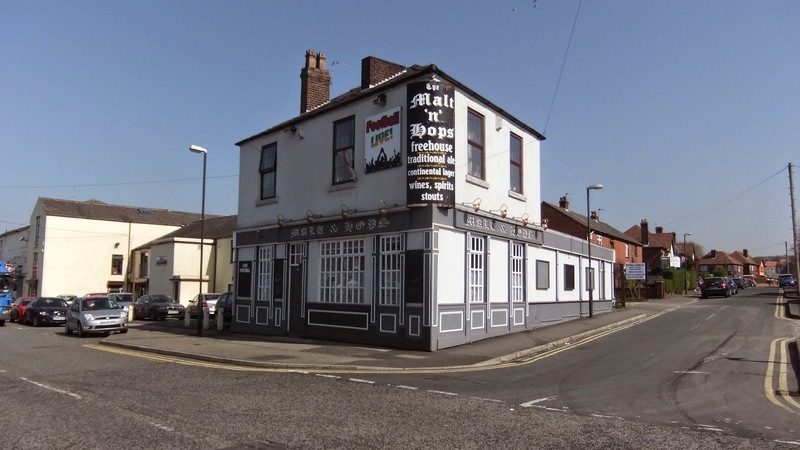 It was well-known for its commitment to serving good real ale and was a popular quiz night venue. 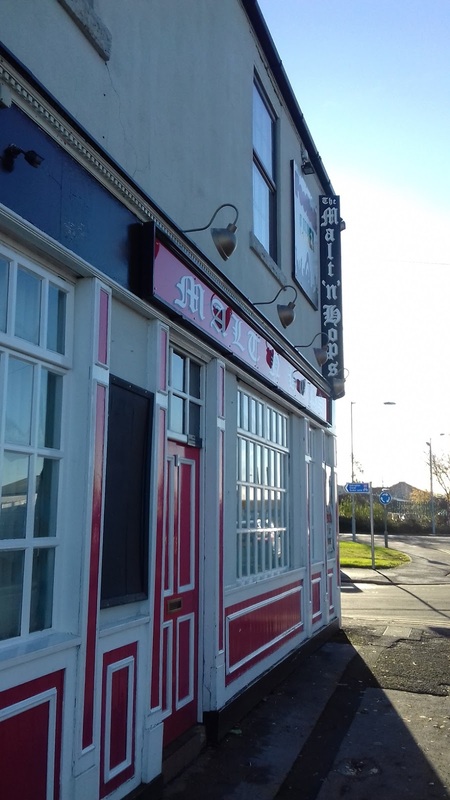 Whilst originally a Free House serving beers from across the British Isles it was bought by a micro-brewery called the Beartown Brewery in the 2000's but closed for a while in 2015 as trade reduced. 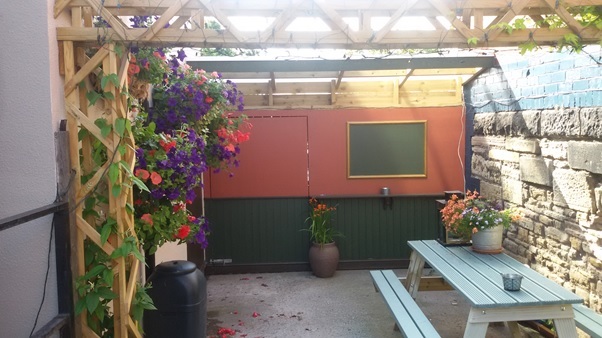 In late 2010 the pub was reopened by Beartown with Alan Key behind the bar. The Malt 'n' Hops is a traditional real ale pub, located in the heart of Chorley serving the local community and visitors alike. 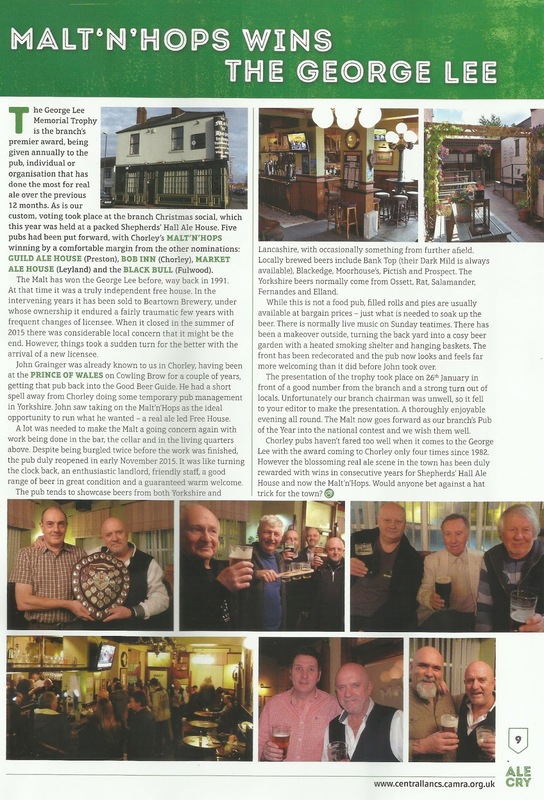 We are a Beartown Brewery public house and stock both Beartown Brewery and nine guest ales. 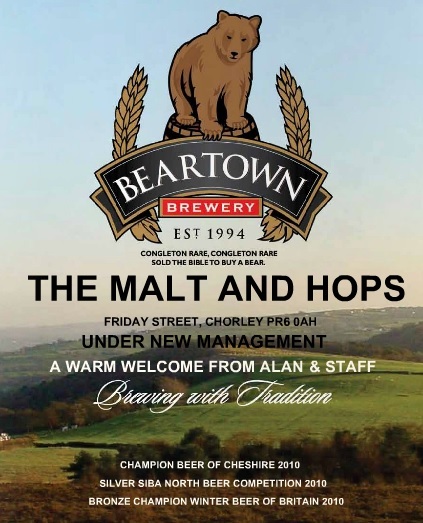 Beartown Brewery, founded in 1994, is a South Cheshire craft brewery, producing a range of quality and distinctive cask conditioned ales. 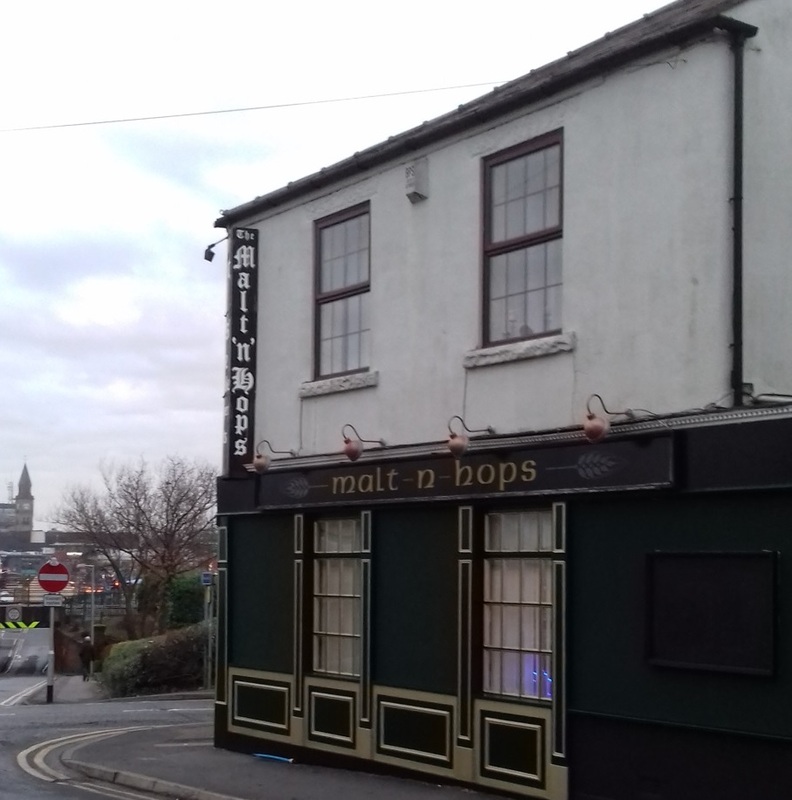 The brewery uses only traditional brewing methods and selects the highest quality malted grains and whole hops to ensure a wholesome and completely natural product Malt 'N' Hops rotate the Beartown Brewery ales, ensuring that customers have a regularly changing choice of beers to experience. 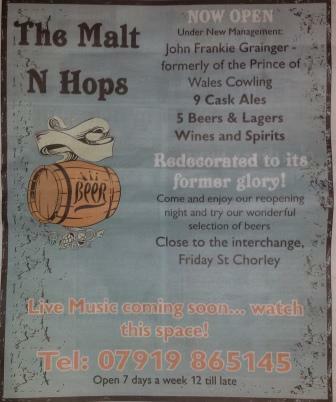 As well as our Beartown Brewery beer, we stock a wide range of guest ales from an ever changing selection of breweries. 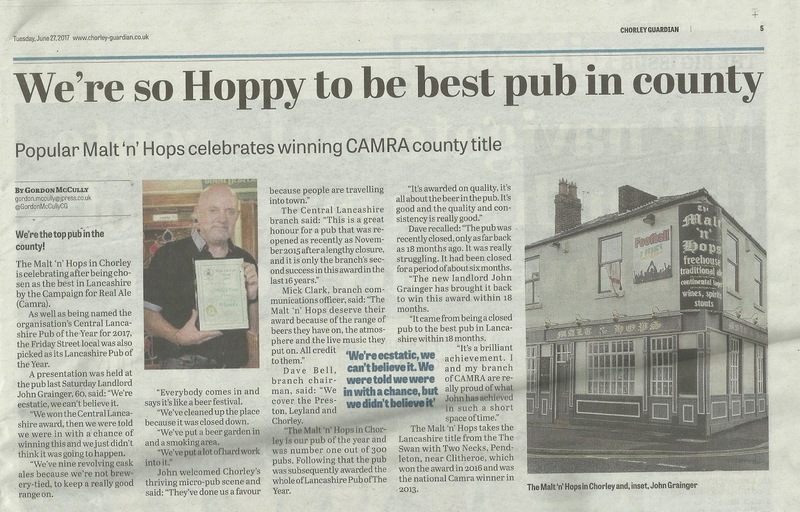 Our reputation is built on the excellent choice and the quality of the beers we serve. 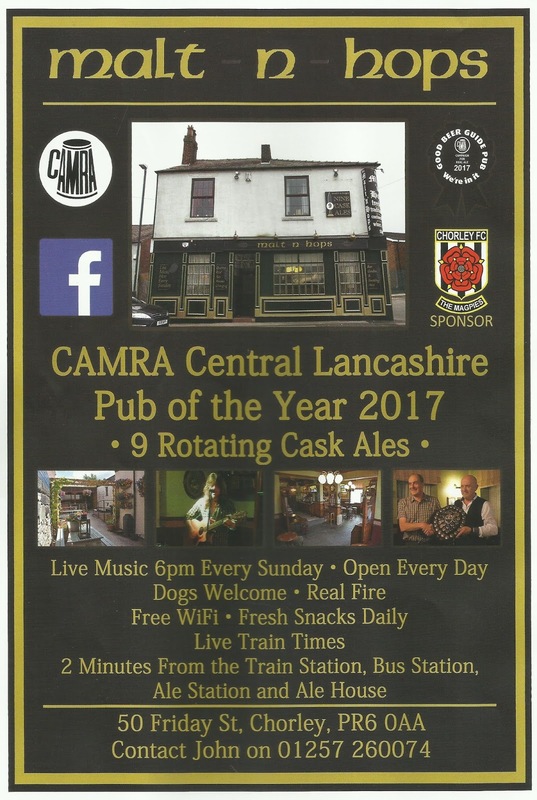 Located on Friday Street the pub is only a stone's throw from the railway station and from its elevated position above the tracks it provides an ideal stop for train spotters! 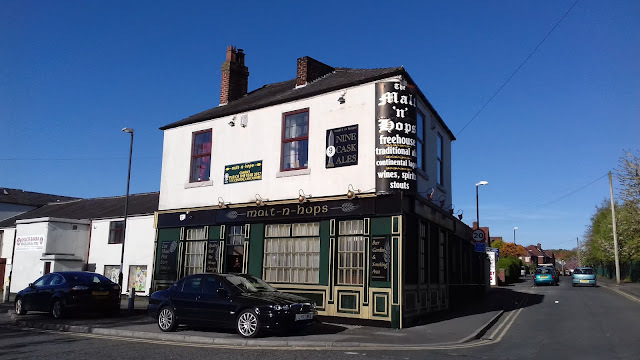 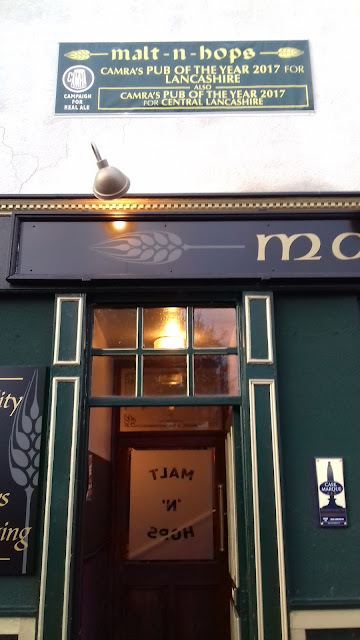 In November 2015 the Malt 'n' Hops reopened with John Frankie Grainger behind the bar and is once more a free house committed to serving real ale predominantly from micro-brewers across the North West of England. 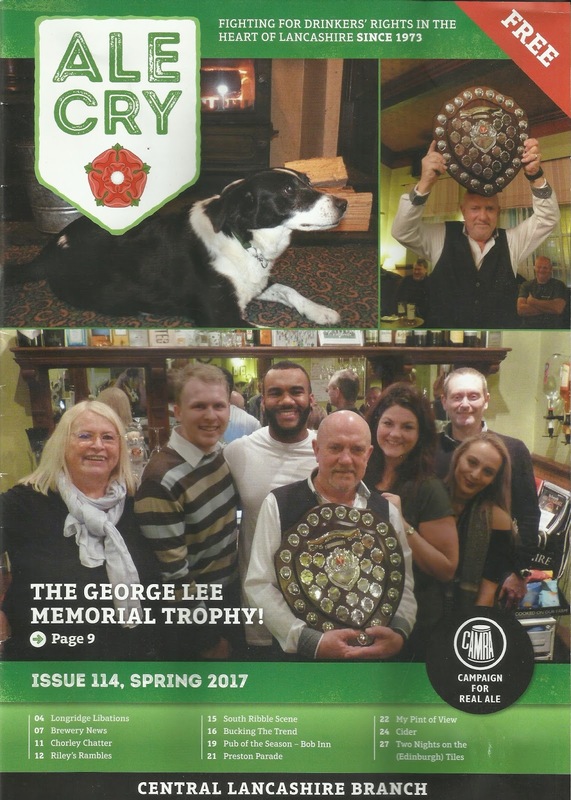 John was previously the landlord at the Prince of Wales on Cowling Brow, a Marston's pub well-known locally for the quality of its beers and some 12 months later the Malt 'n' Hops has now re-established itself as one of Chorley's premier real ale haunts recently winning the Central Lancashire CAMRA Pub of the Year 2017.